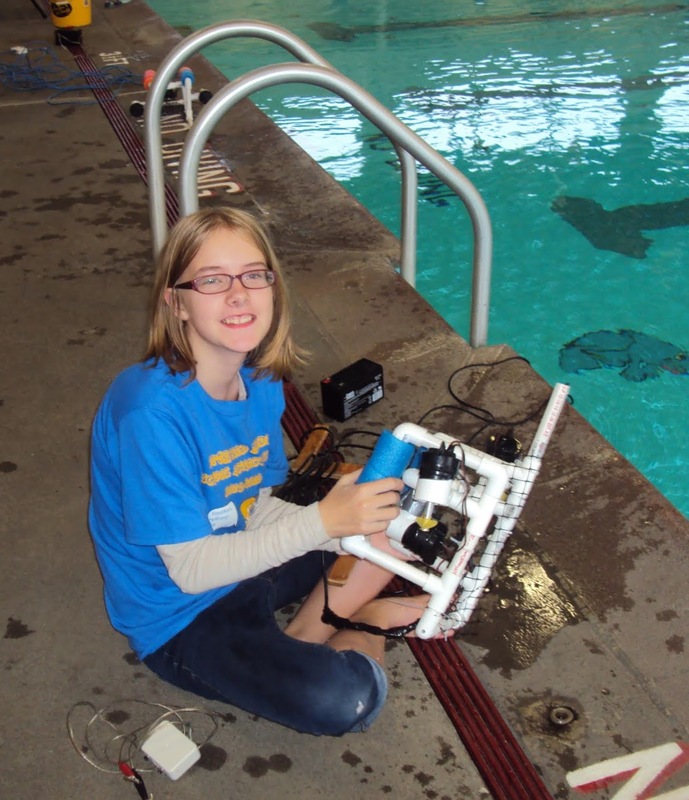 April 23, 2018 — Oregon Sea Grant has issued a challenge to students: Design and build an underwater robot that can locate the wreckage of an airplane, deploy equipment to monitor earthquakes, and install renewable energy devices, all of which will be simulated in the Lincoln City Community Center pool on Saturday, April 28, 2018. 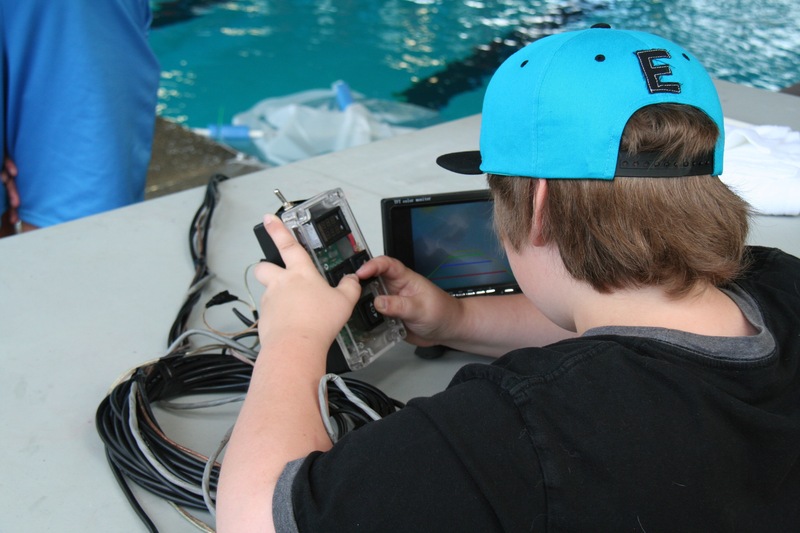 The Oregon Regional MATE ROV competition is an annual event that encourages students from across the state to learn and apply science, technology, engineering, and math (STEM) skills as they develop underwater robots – also known as remotely operated vehicles (ROVs). 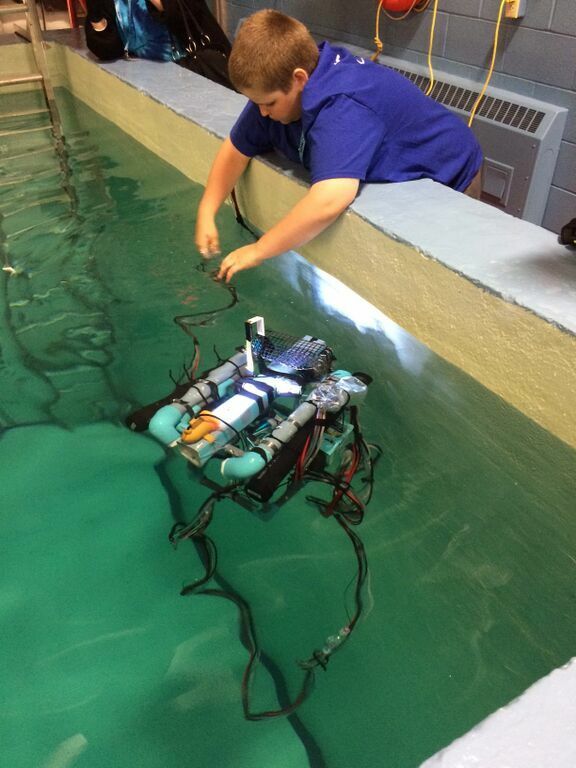 These underwater robots are used to complete missions based on real world issues and events. The competition theme and missions change each year. 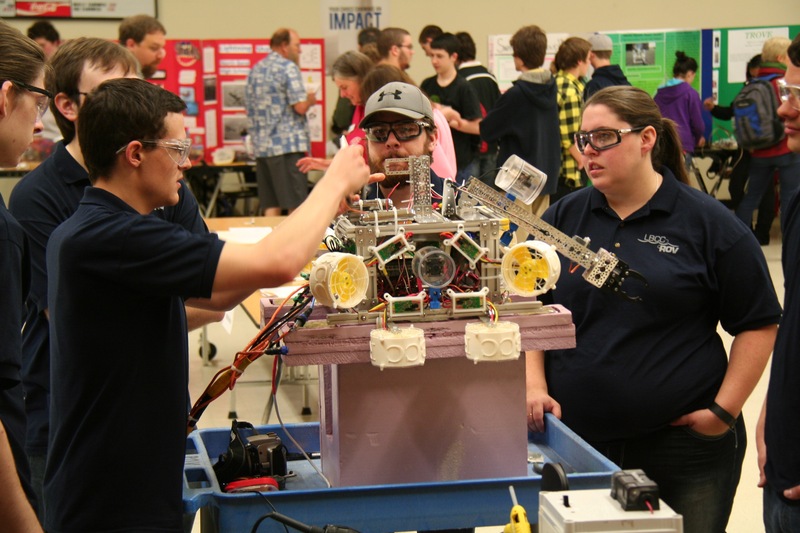 Because the international competition will take place near Seattle, Washington, this year’s contest will highlight the role ROVs play in the Pacific Northwest, including activities that deal with archaeology, seismology and renewable energy. Through the competition scenario, students learn about the region’s seismic activity, emerging renewable energy technology, and rich aviation history. Students also are being exposed to business practices as they are tasked with creating mock companies that work together to “manufacture, market and sell” their ROVs. This simulated company approach promotes entrepreneurship and leadership skills as students manage a project and budget, brainstorm ideas and engage in problem solving, prepare reports and marketing materials, and deliver presentations, all necessary skills for future careers. 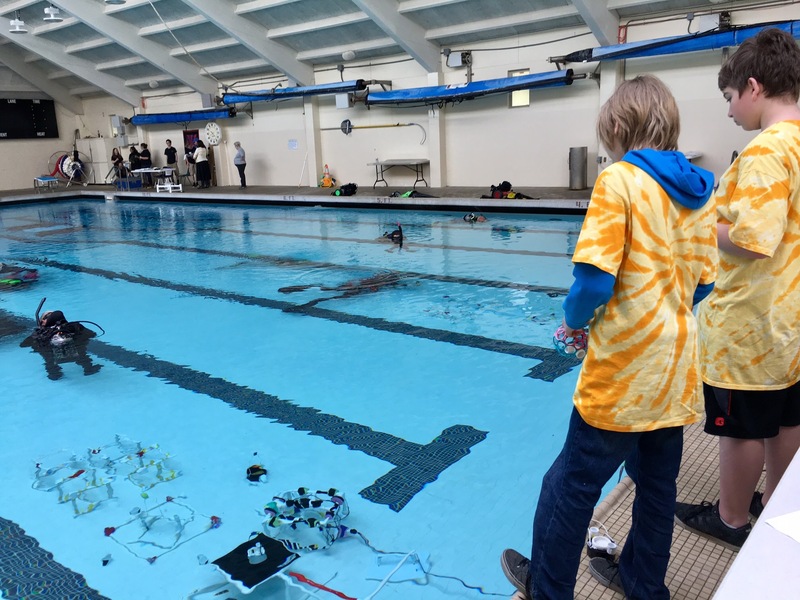 The Oregon Regional MATE ROV Competition is supported by Oregon Sea Grant, the Oregon Coast STEM Hub, Oregon State University, the MATE Center, the Marine Technology Society, and the Association for Unmanned Vehicle Systems International. 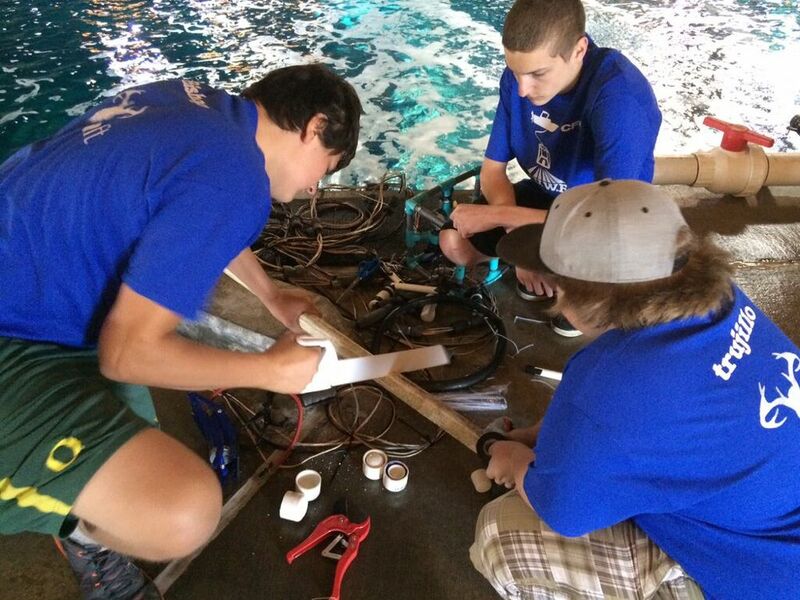 Each year, approximately 50 volunteers serve as divers, scorekeepers, and judges for the competition, evaluating the students’ ROVs, poster displays and engineering presentations. Volunteers for this year’s competition work as engineers and researchers at the Sexton, Corp.; Garmin; Oregon State University; the Environmental Protection Agency; the National Oceanic and Atmospheric Administration; Oregon Sea Grant; and the Pacific States Marine Fisheries Commission. 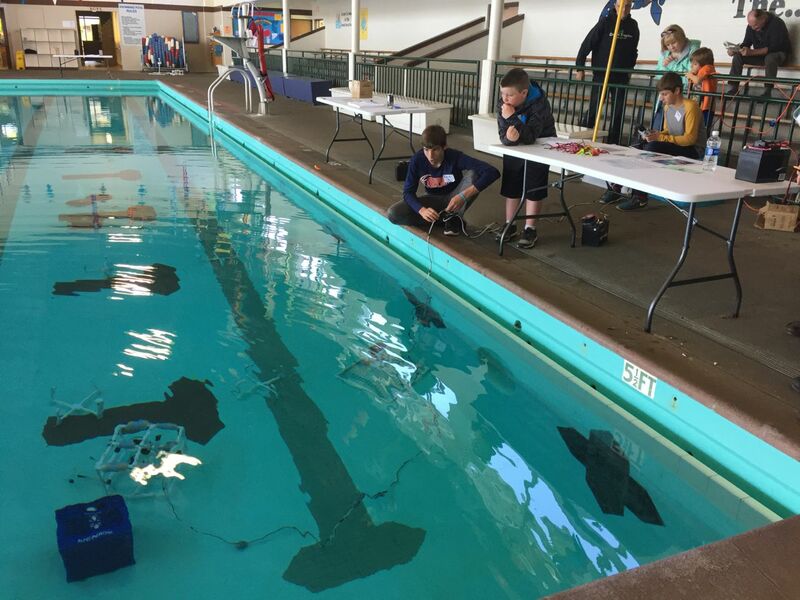 The Oregon Regional MATE ROV Competition is one of 31 regional contests held around the world that are supported by the Marine Advanced Technology Education (MATE) Center. Those upper level teams that qualify will advance to the MATE International ROV Competition, which will be held June 21-23, 2018 at Weyerhaeuser King County Aquatic Center in Federal Way, Washington. The public is invited to attend the regional competition and cheer for their local teams. The Oregon competition will be held from 8 am to 5 pm on April 28, 2018 at the Lincoln City Community Center at 2150 NE Oar Place, in Lincoln City. 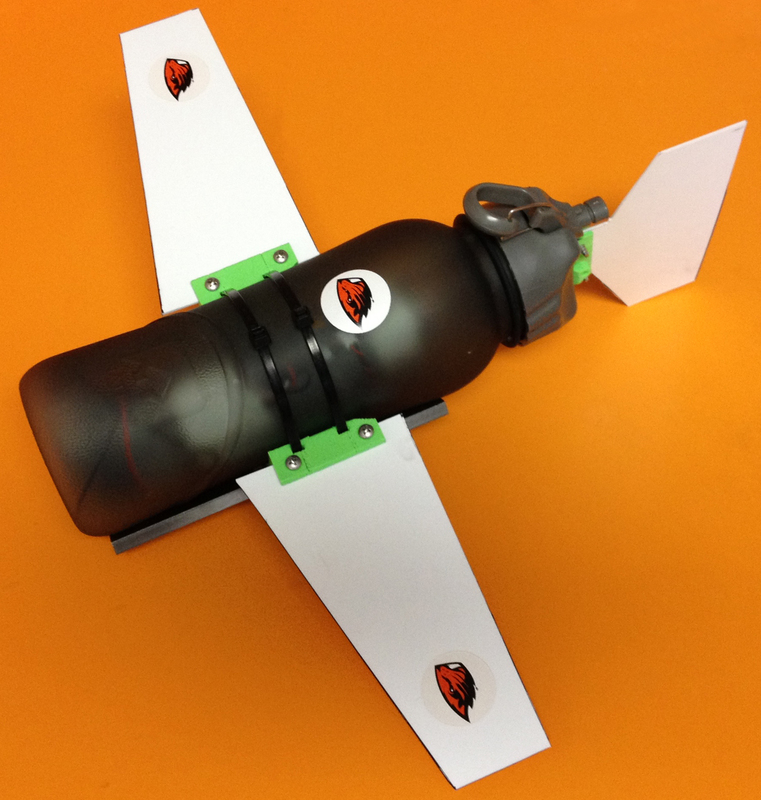 For more information, contact Tracy Crews, Regional Coordinator, at tracy.crews@oregonstate.edu. 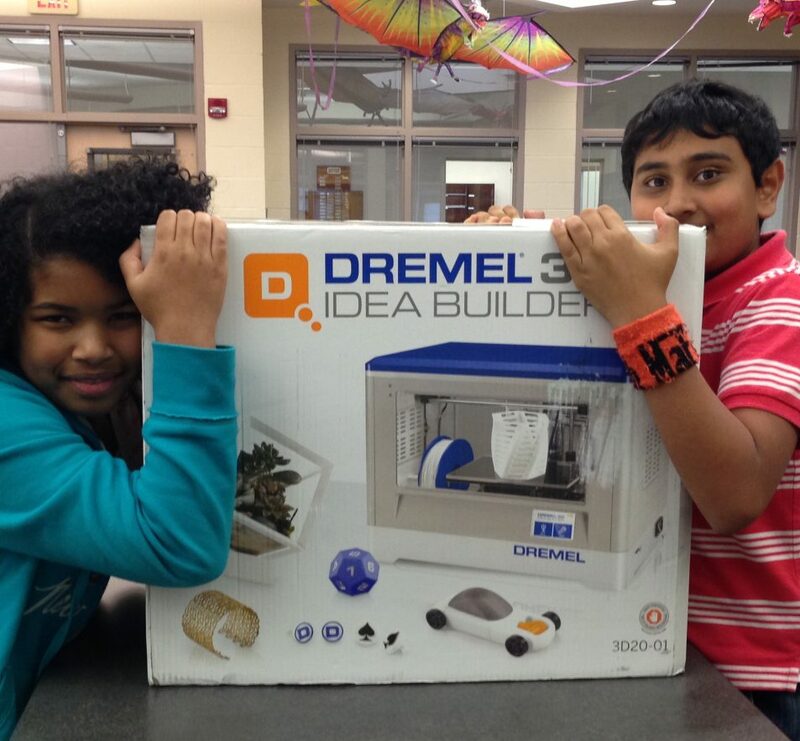 This club was formed with the goal of creating and building amazing things. We want to code, we want to print cool things on the 3D printer, we are enthusiastic about participating in the FIRST LEGO League Challenge. This year we joined FIRST LEGO League and sent a team to competition. Now we are putting together teams that will compete next year. 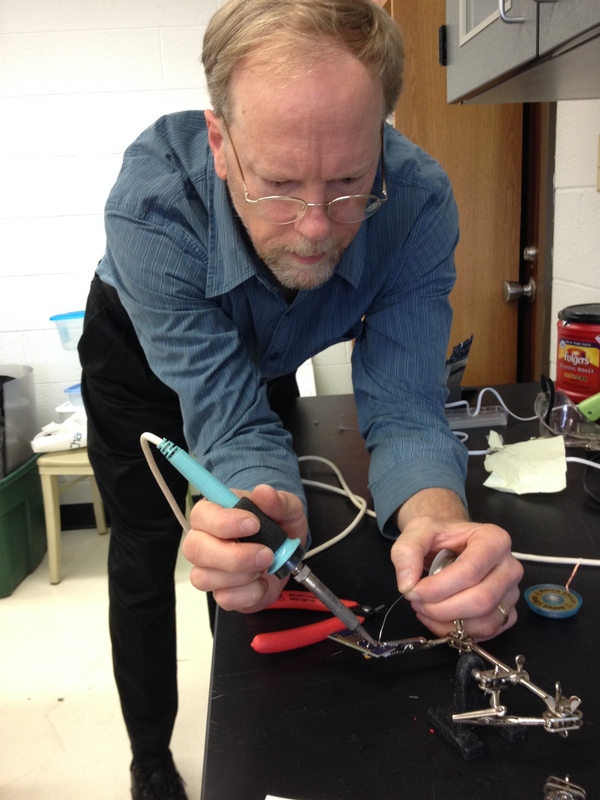 Volunteer Mark Balmer helps us learn about electronics. We created and printed stickers on our Silhouette Cameo vinyl cutter. 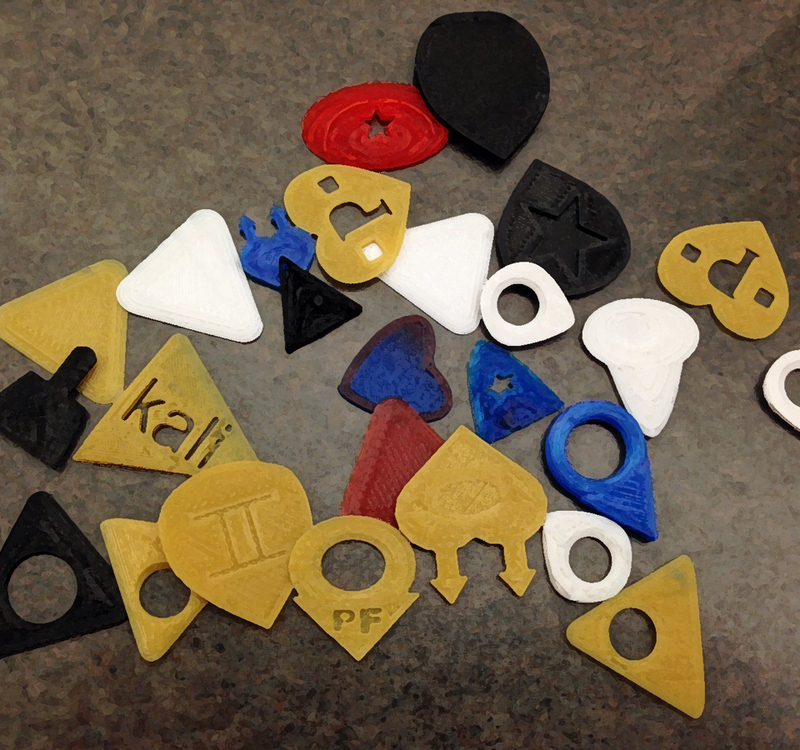 We learned to model 3D objects on 123D design. Learning to loft, revolve, and extrude our drawings was particularly exciting, and knowing these and other CAD terms will be helpful in high school and college. Our volunteer mentor Mark Balmer taught us to build circuits and program Arduinos, so we created a flashy poster for one of our school board members. The printed vinyl from our Silhouette Cameo also creates wonderful stencils for screen printing, and this Spring we will be printing our very own I4IGM t-shirts for every member. Our STREAMlab is in a room adjacent to our library which is wonderful as it makes this space very much the heart of our school, and students can spread out and work in small groups to solve problems and build their ideas. If you would like to keep up with us, visit us at our website: i4igm.wordpress.com. Kathryn Harmon is the Library Media Specialist for Neah-Kah-Nie Middle School, and coordinates the I4IGM Afterschool Technology Club. She also serves as her district’s liaison to the Oregon Coast STEM Hub. 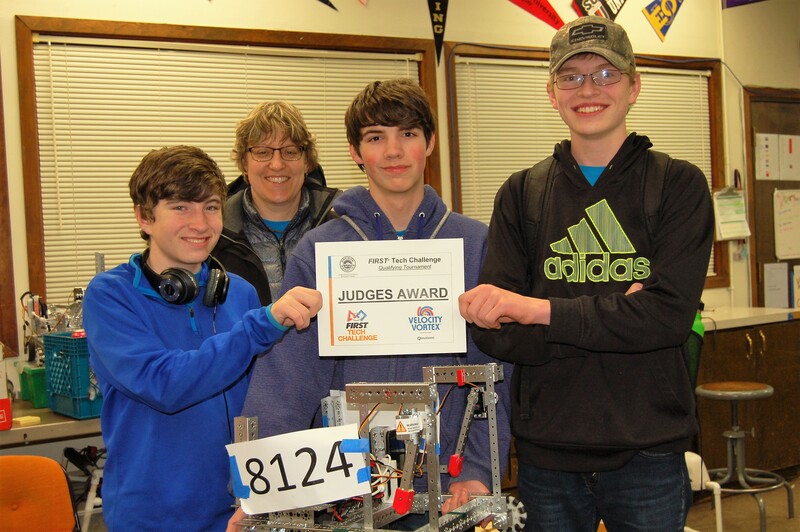 Congratulations to the Bandon High School Robotics Team, otherwise known in competition as West Coast Robotics 3.0. Team members Kyle Brown (Gr. 11) Austin Panter (Gr. 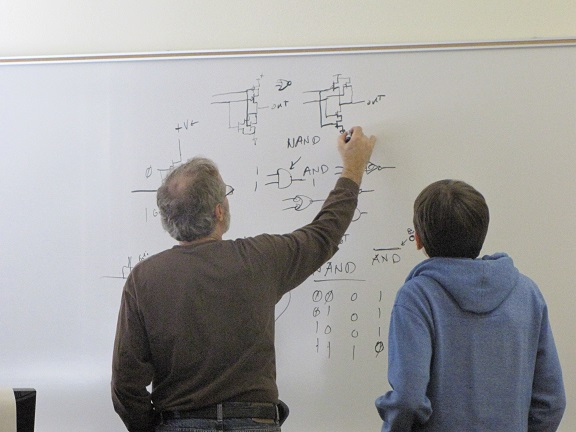 11), and Nick Turner (Gr.10) competed in the FIRST Tech Challenge Qualifying Tournament on Saturday, January 28, at Oregon State University and came in 7th out of 25 in the qualifying matches, made it to the semifinals, and qualified for the next round of competition in two weeks! The team also earned the Judges Award which is one that is not given very often, and is for a team who really impressed the judges outside of the usual award categories. The tournament director said she could only remember this award being given 5 or 6 times over the many years she has been involved in the program. A trophy will be forthcoming–this will be the 8th one for the team in 3.5 years! Martha Kemple teaches Robotics, Computer Applications, and Digital Photography at Bandon High School, and is Advisor for the Yearbook and the Robotics teams participating in FIRST Tech Challenge and the MATE ROV Competition. She also teaches Technology classes to 7th and 8th graders at Harbor Lights Middle School. She has a Bachelor of Science in Computer Science from Portland State University and worked for the Bonneville Power Administration in various computer-related positions before earning a Master of Arts in Teaching from George Fox University. She has taught everything from second grade through college students. 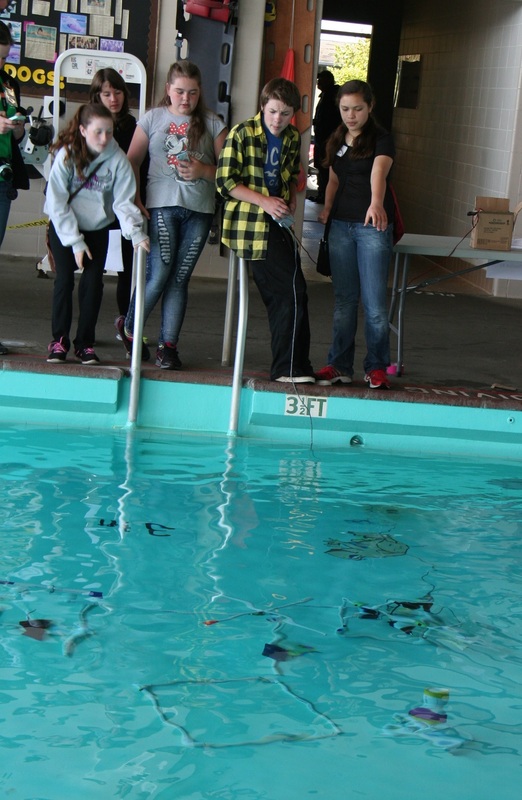 May 3, 2016 – North Bend High School and the North Bend Municipal Pool were overflowing with SCUBA divers and underwater robots last Saturday for the 5th Annual Oregon Regional Marine Advanced Technology Education (MATE) Remotely Operated Vehicle (ROV) Competition. Over 200 elementary, middle school, high school, and college students from across Oregon took part in the event, as teams launched their underwater robots in an effort to take top honors in the region and advance to the 15th Annual International MATE ROV Competition, which will be held at NASA’s Neutral Buoyancy Lab in Houston, Texas at the end of June. 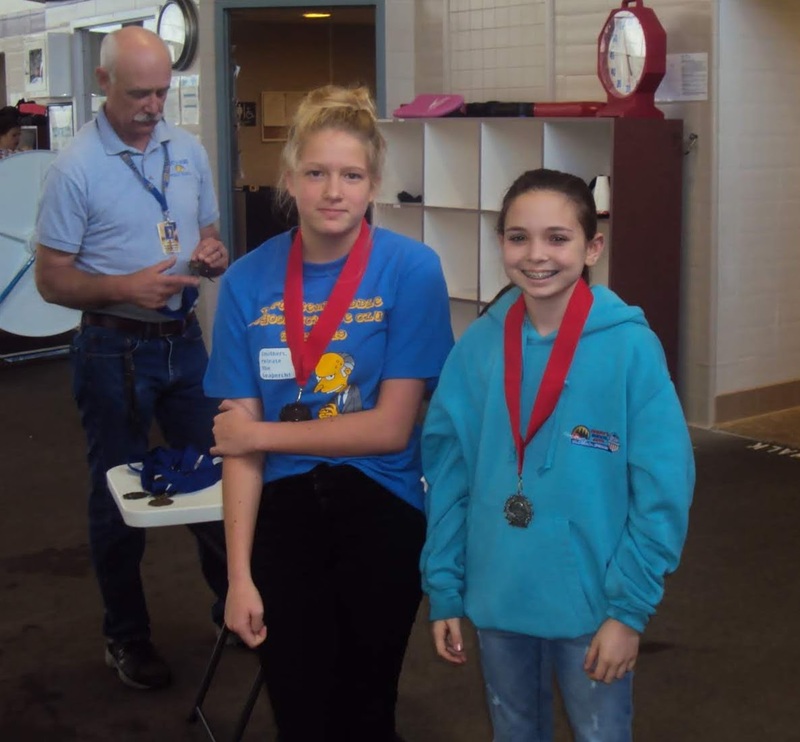 Sponsored by the Oregon Coast STEM Hub, a collaborative effort of over 60 coastal partners, this competition is an annual event that encourages students to learn and apply Science, Technology, Engineering, and Mathematics (STEM) skills as they develop underwater robots – also known as ROVs – to complete missions that simulate real-world problems from the ocean workplace. Forty-one student teams from Warrenton, Tillamook, Lincoln City, Newport, Toledo, Waldport, Florence, Bandon, North Bend, Corvallis, Albany, Aloha and The Dalles participated in the day-long event. 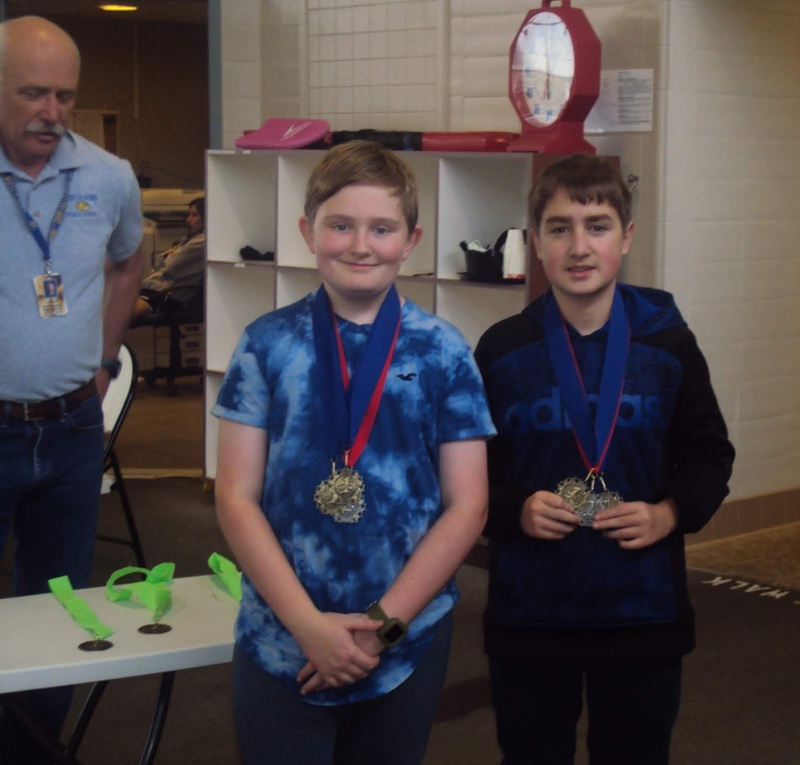 Saturday’s competition was one of 26 regional MATE ROV competitions that are held annually around the world that feed into the International MATE ROV Competition. The competition theme changes every year, and this year’s theme highlights technologies that are developed for exploration and scientific use in both ocean and space environments. 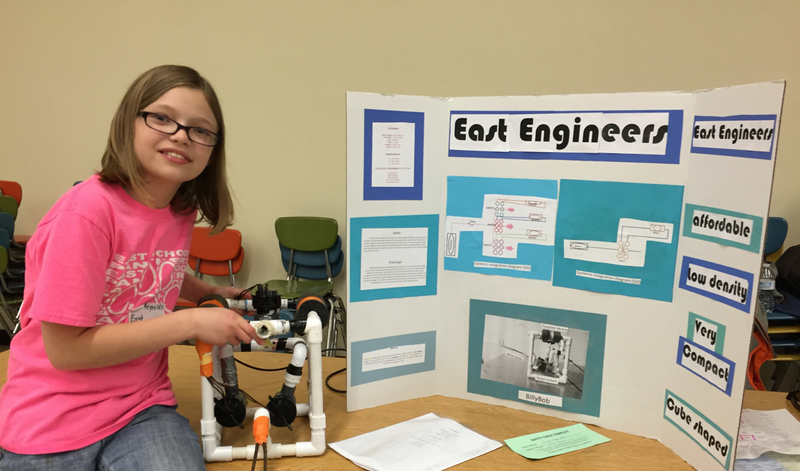 For example, in the ocean-themed missions, students used their ROVs to collect oil samples and coral specimens. The space-based missions challenged students to pilot their ROVs under the ice sheet of Jupiter’s moon Europa to collect data and deploy instrumentation. The student teams were also required to present posters detailing their ROV design and construction, and provide an engineering presentation for judges. 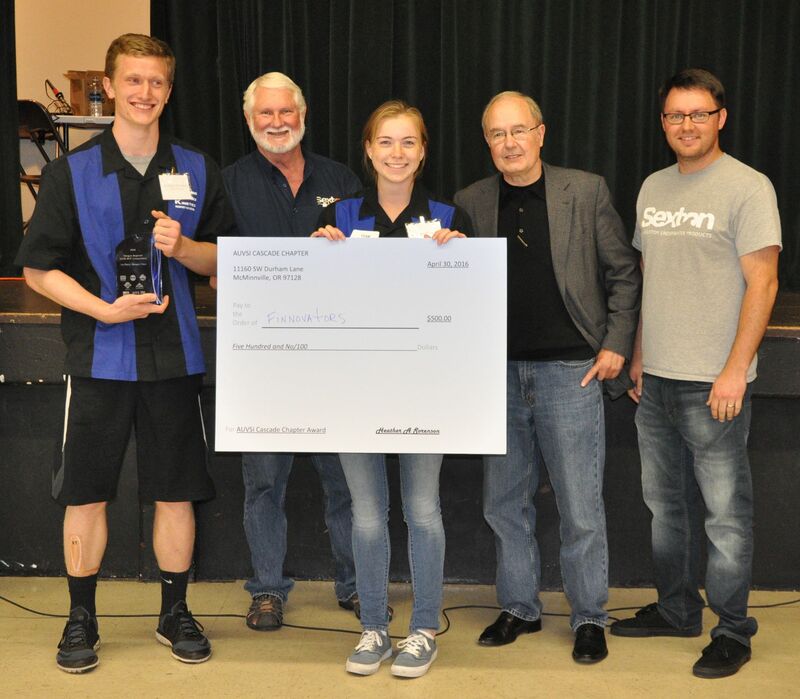 This year, the Oregon Regional Competition was supported by Oregon Sea Grant (OSG), the MATE Center, the Marine Technology Society (MTS), the Association of Unmanned Vehicle Systems International (AUVSI), The Sexton Corporation, Georgia Pacific Foundation, and Oregon State University. Over 40 volunteers from these and other organizations helped run the competition, served as mission and engineering judges, and provided dive support. 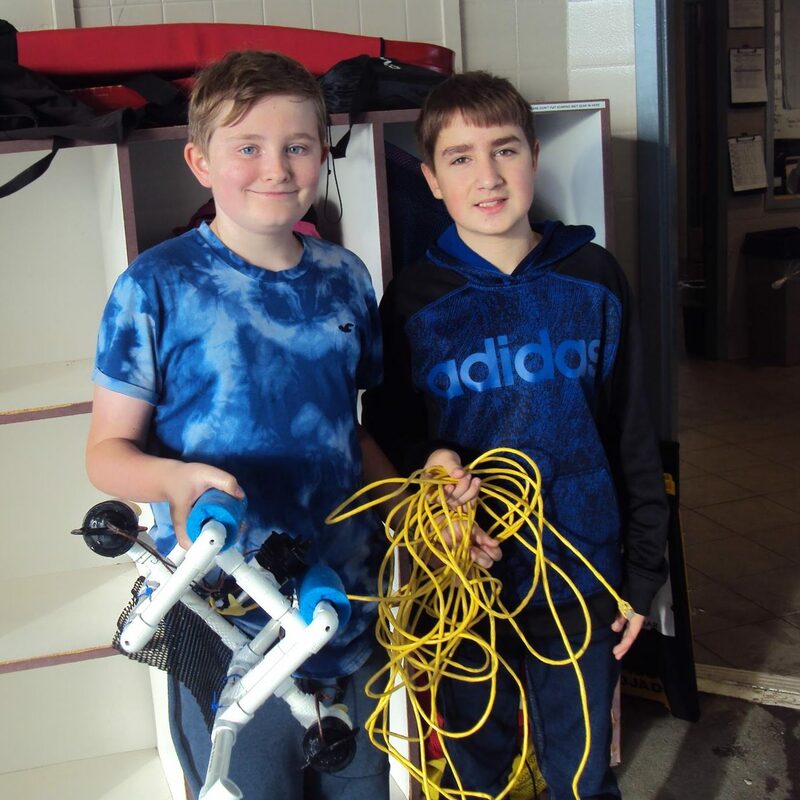 The two advanced-level college teams participating in the Explorer Class division demonstrated their ROVs to the younger students, and some of the team members served as volunteers helping to run the day’s events. 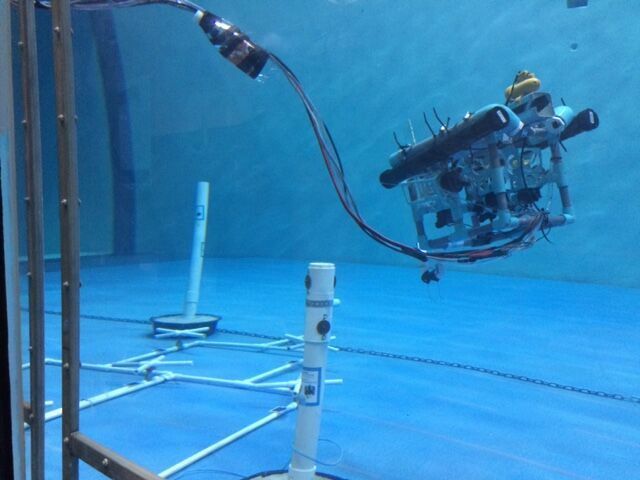 Explorer teams are not required to compete at the Regional level for entry into the International competition, but they do have to submit video evidence of their ROV’s capabilities to qualify. The list of qualifying Explorer teams will be released by the MATE Center on May 15th. Of the thirty-nine remaining teams that competed in Saturday’s event, 15 competed in the beginner-level Scout Class, 15 competed in the intermediate-level Navigator Class, and nine competed in the upper-level Ranger Class. 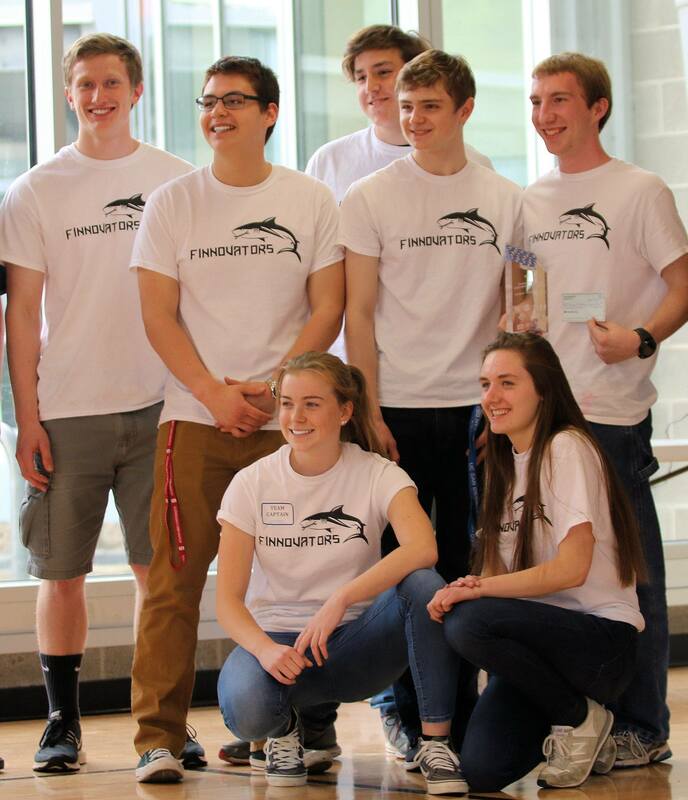 The top team in the Ranger Class, “Finnovators” from Newport High School, will advance to the MATE International Competition to represent Oregon. The International Competition will involve top Ranger and Explorer teams from around the world and will be held at NASA Johnson Space Center’s Neutral Buoyancy Lab in Houston, Texas June 23-25, 2016. Coming up on March 4th, Dr. Fritz Stahr will be giving two presentations at Southwestern Oregon Community College in Coos Bay. The first presentation, “My Other Vehicle is Unmanned”, will be held at 1:00pm and is geared toward students who are interested in Science, Technology, Engineering and Mathematics (STEM) fields. This is a great field trip opportunity for STEM classes and robotics teams! 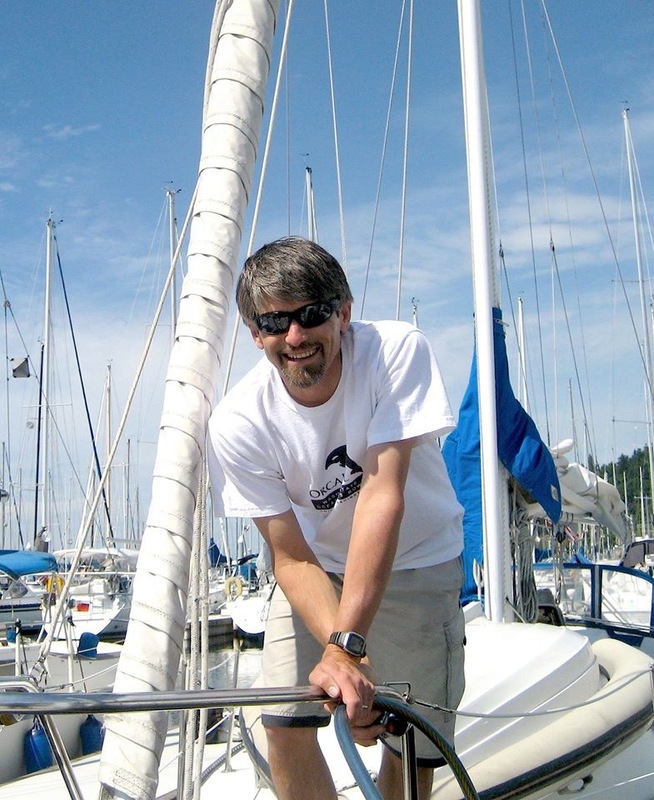 Dr. Stahr will talk about real ocean gliders, SeaGlide vehicles, and ROVs. The talk is FREE and will last about one hour. Later in the evening, Dr. Stahr will give a second presentation geared toward the general public that covers similar themes. His talk, “Where the Wild and Robotic Things Are”, is part of the SWOCC Geology Lecture Series, and is also the keynote address for the Sharing the Coast Conference taking place March 4-6. Dr. Stahr’s lecture is FREE to all, and you do not need to be registered for the conference to attend. For more information about these lectures, contact Ron Metzger at 541-888-7216. Hearing from Dr. Stahr will surely be of interest to the 28 educators who have registered to take part in the SeaGlide Educator Workshop on February 27th at Hatfield Marine Science Center. In this hands-on training, middle and high school teachers will find out how underwater gliders are being used in ocean research, and then they will learn how to build model gliders with their students. The workshop is made possible by LADC-GEMM (LIttoral Acoustic Demonstration Center – Gulf Ecological Monitoring and Modeling), NOAA PMEL (National Oceanographic and Atmospheric Administration – Pacific Marine Environmental Lab) Acoustics program, and Oregon Sea Grant. Although the February workshop is full, the Oregon Coast STEM Hub hopes to be able to arrange a similar workshop in the future. 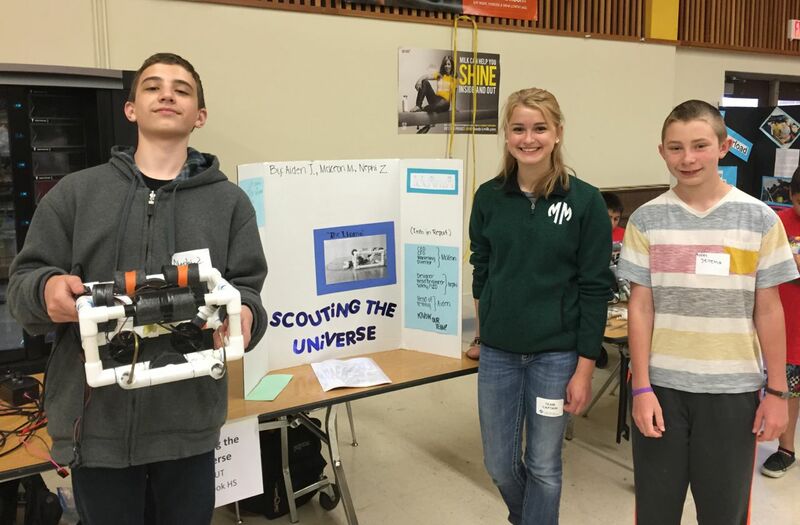 Students throughout the state are currently gearing up for the annual Oregon Regional MATE ROV Competition which will be held on April 30, 2016 in North Bend. 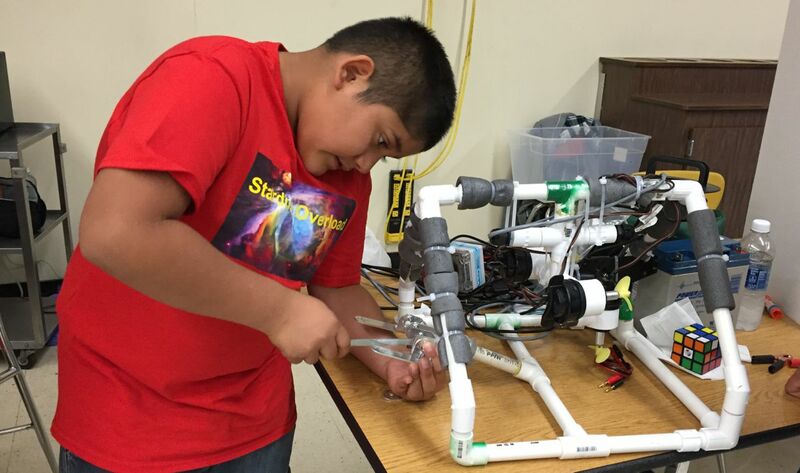 Students ranging from middle school to college age are learning and applying STEM skills as they build ROVs to complete missions that simulate real challenges in ocean and space environments. The theme for this year’s competition is “From the Gulf of Mexico to Jupiter’s Moon Europa: ROVs Exploring Inner and Outer Space” and the full competition manuals for each of the four classes can be accessed through regional website. Registration is now open, and lead Instructors are encouraged to register their teams as soon as possible at http://oregon.marinetech2.org/registration. 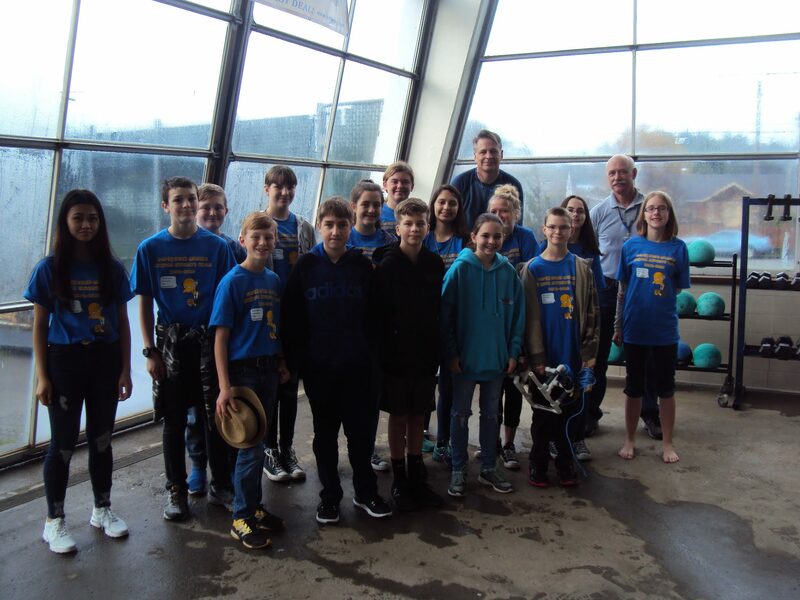 Qualifying teams from the Ranger and Explorer classes will advance to the International Competition held June 23-25, 2016 at NASA’s Johnson Space Center – Neutral Buoyancy Lab in Houston, Texas. 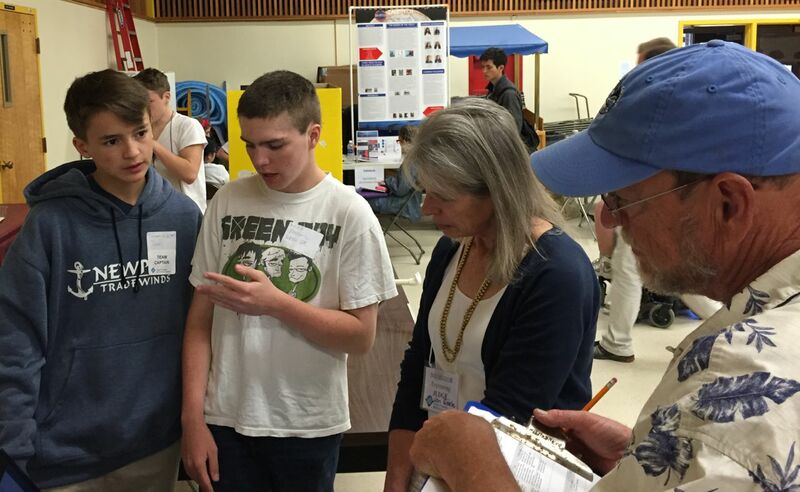 The growing Oregon Regional event reaches hundreds of students, and there are many opportunities for STEM partners to volunteer as judges, divers, or scorekeepers on April 30th. For more information, contact Tracy Crews at OregonCoastSTEM@oregonstate.edu. 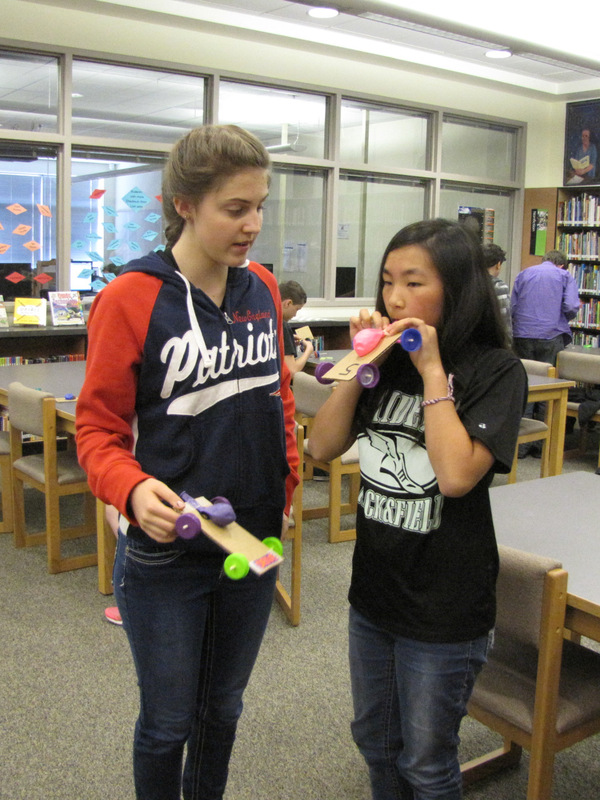 The lectures, workshops and competitions described above are all listed on the Oregon Coast STEM Hub website, along a plethora of other STEM-related resources and opportunities. Find out what is going on in your area, and how you and your family, students and coworkers can get involved in STEM learning on the Oregon coast. 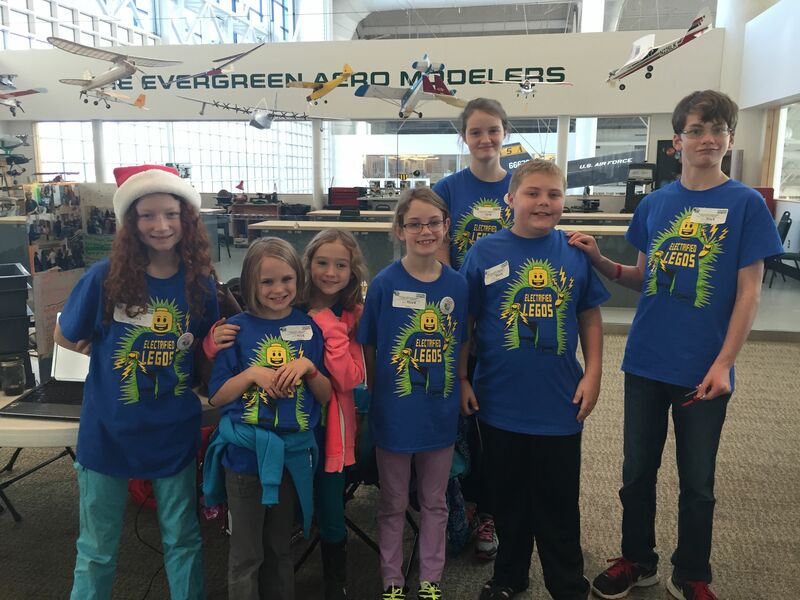 On December 6, 2015, First Lego League (FLL) teams gathered at the Evergreen Space Museum in McMinnville for a Regional FLL Qualifying Tournament. 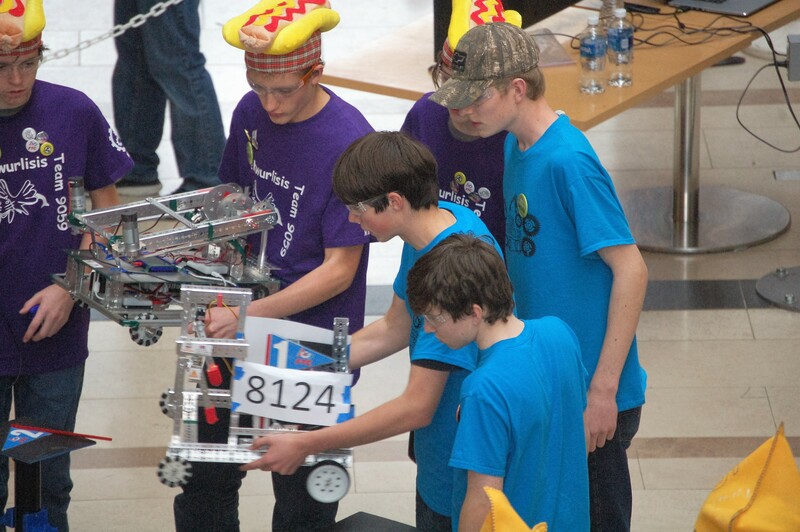 Newport’s Electrified LEGOS team was in attendance, ready to compete with their robot. This year, the team was made up of eight team members ranging from 4th to 7th grade. Four were returning members from last year’s SNL-Super Ninja Legends team, and four were new members to FLL. By the end of the day, the Electrified LEGOS team learned that they were one of the lucky teams chosen to compete in the FLL State Championships to be held on January in Hillsboro. 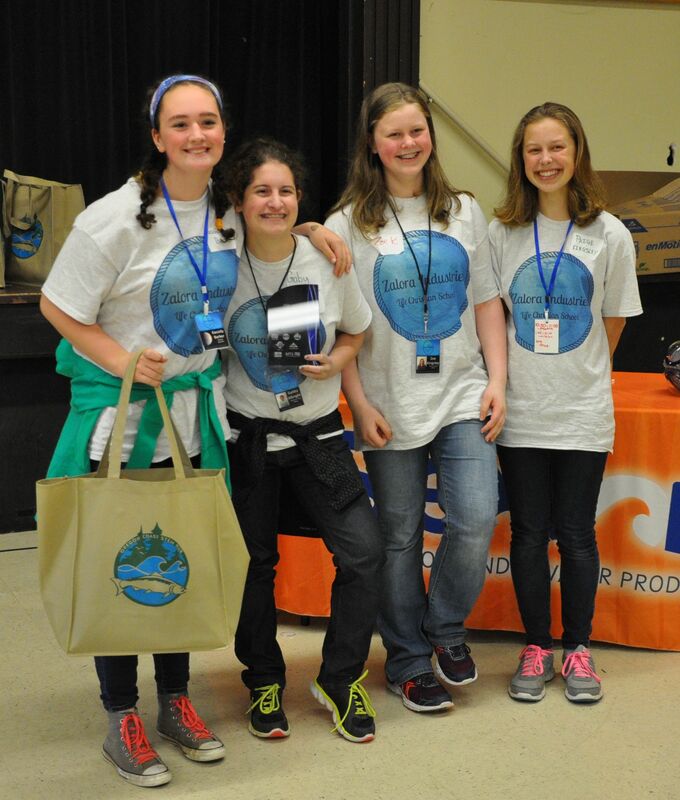 The team has been meeting at least weekly since late August to complete this year’s FLL Challenge – “Trash Trek”. Team members partnered with Thompson Sanitary, County Waste, Master Composter SeaHart Elan and Sam Case Elementary School to figure out a way to reduce the amount of food waste being thrown into the landfill from the school. The team did a waste audit at Sam Case for two days to know how much was being thrown away and then presented their findings to the Lincoln County School Board and Sam Case administration and staff. 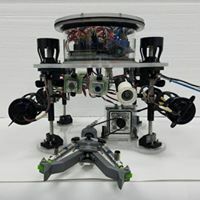 On top of the challenge research, the team also used a LEGO EV3 robotics kit to design, build and program a robot, which completes as many missions as possible on a 4-foot by 8-foot playing field. As part of the tournaments the team must present their robot and programs for judging, present their food waste findings to another team of judges explaining why they chose to help solve this issue, show their teamwork skills to yet another team of judges using the FLL Core Values, and then compete with their robot in three different competition rounds. Electrified LEGOS is sponsored by Lincoln County 4-H and HC Networks. Team members include Reegan Jenkins, Katie Hartsell, Marcus Lehrer, Kaden Raever, Ella Jenkins, Charlotte Gardner, Gracie Ison, and Merak Krutzikowsky. They will be competing at the State Competition during the weekend of January 9th and 10th. Newport, Oregon—At first glance, a cube of PVC pipe trailed by a string of wires and cables is a puzzling presence for some Oregon Coast Aquarium visitors in the new exhibit, Secrets of Shipwrecks: Part History. Part Mystery. In the exhibit, it represents one of the tools researchers use for underwater exploration and archaeology, and pays homage to the fact that people from all walks of life can wield this technology. The contraption sports scratches and wear, and zip-ties hold repurposed plastic water bottles to its control tether. The underwater remotely operated vehicle, or ROV for short, is the creation of three Taft High School students under guidance of Science Department Chair Noah Lambie. 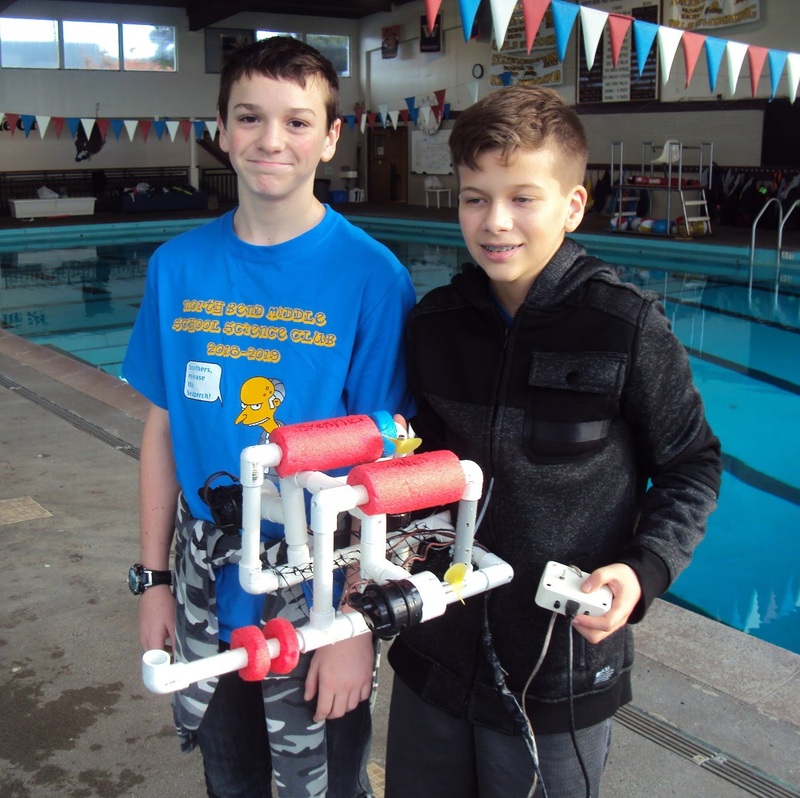 Team RUWE (Robotic Underwater Exploration) created the ROV for the Oregon Regional MATE (Marine Advanced Technology Education) Competition. Each student assumed a role, with Kyle Macrae as CFO, Hunter Bishop as CEO and Eneki Trujillo as Head Engineer. RUWE took the title in the Ranger Class, qualifying them for the international competition at Newfoundland, Canada. The opportunity to compete against 60 other teams from universities and prestigious prep schools across the globe presented a tremendous opportunity and set of challenges. Their winnings only covered a portion of the trip, Lambie and the students started a crowdfunding campaign, and sold totes and shirts to make up the difference. The trio’s previous triumph was in a fresh water pool – not deeper than 12 feet, but the international competition would plunge the students’ robot in Arctic Ocean conditions. RUWE knew they needed to adjust the robot’s buoyancy control for deep, saline water, and were unsure how their ROV would react to the cold. Lambie reached out to the Aquarium for help. Their first test drive in the Passages of the Deep exhibit deflated the bicycle tube, sending their buoyancy control plans back to the drawing board. Round two proved more successful, and as June drew to a close they headed to Canada. 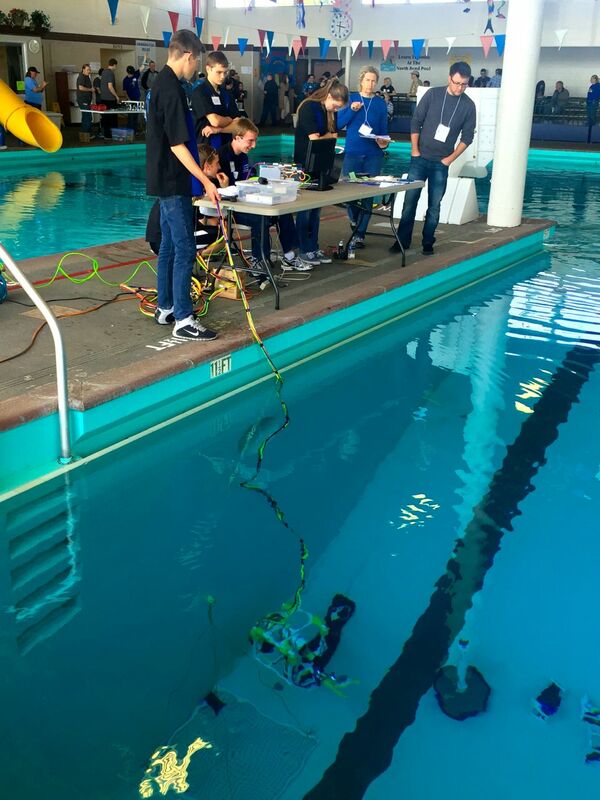 They found fierce competition; many of the rival ROVs cost more than ten times Taft High’s students’ budget, and were handled by college students. Their innovation and dedication earned them 20th place out of 63 competitors, and the “Bang for the Buck” award. 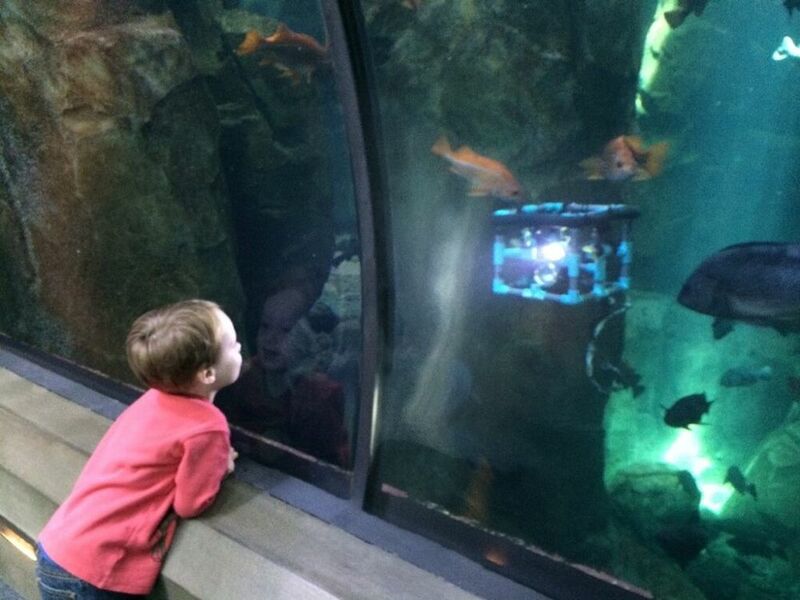 The Aquarium offered to exhibit the ROV to honor Team RUWE, and in hopes of inspiring more applied-STEM projects in classrooms and beyond. The ROV will be on display through December of 2016. The Oregon Coast Aquarium is dedicated to the highest quality aquatic and marine science programs for recreation and education so that the public better understands, cherishes, and conserves the world’s natural marine and coastal resources. An accredited Association of Zoos & Aquariums institution, this 501(c)3 non-profit organization is ranked as one of the top 10 aquariums in the U.S. Visit us at 2820 S.E. Ferry Slip Rd., Newport, OR. www.aquarium.org, 541-867-3474. Follow us on Facebook.com/OregonCoastAquarium, or Twitter.com/OrCoastAquarium for the latest updates. The Oregon Coast Aquarium and Taft High School (Lincoln County School District) are partners in the Oregon Coast STEM Hub. 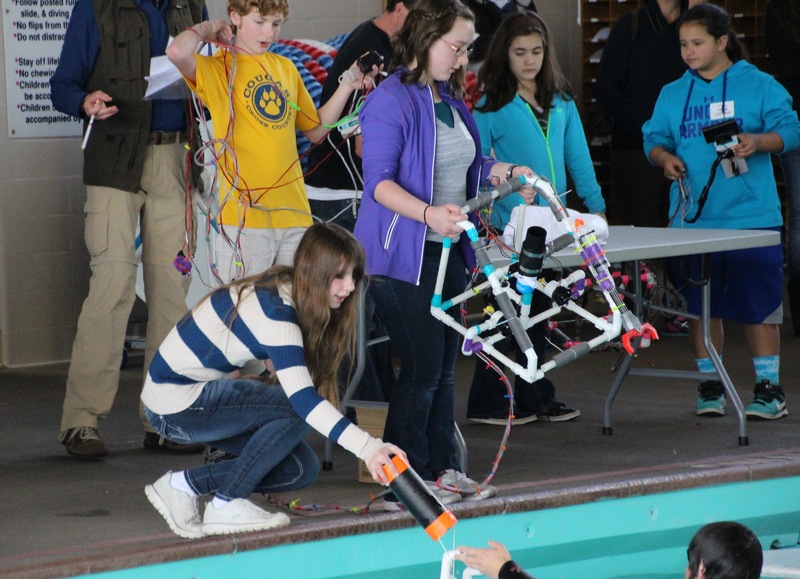 In addition, the Oregon Coast STEM Hub and Oregon Sea Grant coordinate the Oregon Regional MATE ROV Competition with support from MATE, the Oregon Coast Aquarium, the Marine Technology Society, AUVSI, The Sexton Corporation, and Oregon State University. 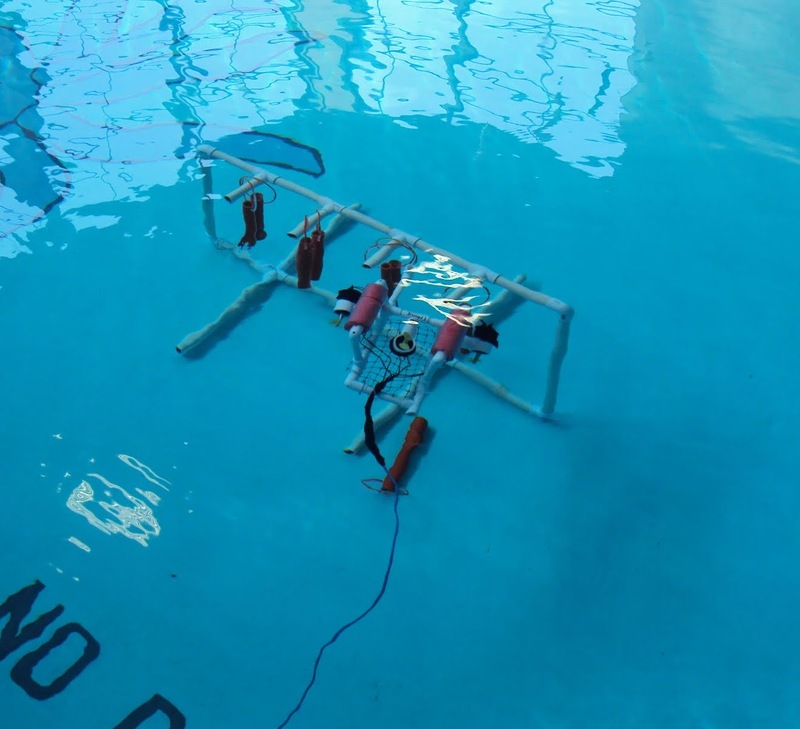 The next Oregon Regional MATE ROV Competition will be held April 30, 2016 in North Bend, Oregon. 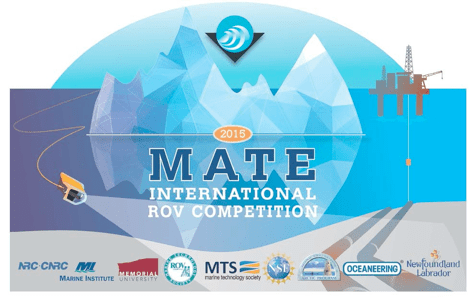 The Marine Advanced Technology Education (MATE) Center, the National Science Foundation (NSF), NSF’s Office of Polar Programs, and the Marine Technology Society ROV Committee invite you to our 14th Annual MATE International Student ROV Competition. Sixty-three teams representing middle schools, high schools, home schools, after-school groups, community colleges, and universities from 16 different countries are scheduled to compete in this year’s event, which is being held June 25-27, 2015 at the Marine Institute (MI) of Memorial University and the National Research Council’s Ocean, Coastal, and River Engineering (OCRE) facility in St. John’s, NL, Canada. This year’s competition focuses on the role that ROVs play in scientific research and the offshore oil industry in the extreme environment of the Arctic. The underwater mission tasks include piloting under an ice sheet to sample organisms and deploy instrumentation and battling current, waves, and wind to inspect pipelines and test oilfield equipment. This year’s complex missions are made possible by the unique features of MI’s flume tank and the OCRE’s ice tank and offshore engineering basin. Each year the competition challenges students to think of themselves as “entrepreneurs.” Students are asked to transform their teams into companies that design, build, and market their “product” as a way to gain a better understanding the breadth of real-world business operations. Along the way, they learn how to manage a project, work as a team, think creatively, and problem-solve, which are all important 21st century workplace skills. During the event, a panel of judges – professionals representing industry, science, government, education, and exploration – will evaluate the student-run companies on their ability to effectively communicate their vehicles’ design and construction via technical documentation, marketing displays, and sales presentations. The competition will also feature the Ocean Career Expo, organized by the MATE Center and its partners in the Centers for Ocean Sciences Education Excellence (COSEE). We encourage you to join us! You can also visit the MATE competition web site at www.marinetech.org where a LIVE videostream (including scores, photos, and video clips) will be hosted during the event.